Safety items are usually not considered essential to have around until after they are needed. That is a shame, as many disasters can be averted by having the proper tools one needs to survive. And also, just having some of these items is a cool conversation starter. If you heed the suggestions of safety experts and have carbon monoxide or smoke detectors and fire extinguishers, as well as first aid kits around your home, then you have made a good start to being prepared for some household emergencies. However there are many other items people should have to keep their property, family and person safe. Now the list of safety items only gets longer if you or your loved ones are avid campers, hikers or thrill-seekers, but everyone should have some basic items. Disaster experts advise people to have a go bag ready in case of an unexpected disaster. That sounds like solid advice. While you can make your own, there are plenty of affordable, yet durable and convenient bags and kits out there that you can add to and keep ready, just in case. With the way the world is now, having a variety of items that will keep you prepared for all sorts of calamities is just good common sense. Many of these items make thoughtful, yet practical gifts and this is a case where peace of mind is worth the expense. Here are some suggestions of safety items that everyone should have. There were many survival bags on Amazon, but the Guardian Survival Multi-Pocket Hiker's Elite Emergency Kit is one of the best as it has good reviews, is made in the USA and has items for a variety of situations for two people to survive for 72-hours. The items in this go bag include: water pouches, food bars, light and communication gear, fire starters, emergency sleeping bags, tools, first aid and hygiene kits and more. This set even includes playing cards to keep your mind busy. There is even room in the bag to add a change of clothes, medicine and other personal items to have ready just in case you need to get out of your home quickly. This bag is so popular that it often sells out, so plan ahead and get one as soon as you can. Guardian Survival Multi-Pocket Hiker's Elite Emergency Kit is available for $101.33 with free shipping on Amazon here. 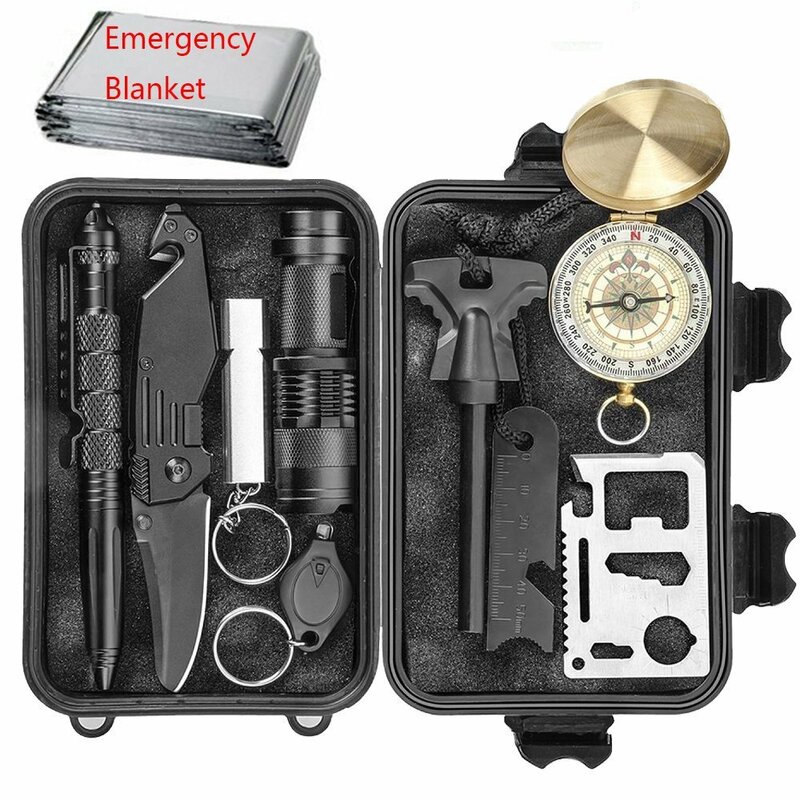 While this is geared for outdoor types, having one of these Emergency Survival Kits 11 in 1, CHANGKU Multi Professional Survival Tools Outdoor Survival Gear Kit handy in a car or easily accessible place in the home is a good idea for everyone to have around, just in case…This small box measuring 7.1 x 4.3 x 2 inches and weighs only 12 ounces has many useful items to have on hand in case of emergency. The kit contains a flint stone, scraper, flashlight, Swiss card, mini light, updated compass, updated tactical military knife, whistle, tungsten steel pen, an emergency thermal blanket and comes in black shockproof case. There are similar items out there, but the reasonable price of $25.99 and quality of items make this a must-have item for you safety needs and can be purchased here. You may want to get a separate wire saw with sharp blades and can cut stuff and add it to this kit. The Toolcard from Lever Gear is a handy credit-card sided multitool that has 40 tools in one including screwdrivers, bottle opener, ruler, box cutter and more. It is made in the USA of stainless steel and it can be engraved. It comes with a detachable money clip, so it may be used in lieu of a wallet, or you can easily slip it into a wallet or a purse. Something that makes this item extraordinary is that it is TSA complaint, so you can easily bring it on a plane. They range in price from $32-43 and can be purchased here. Rifling through a bag to find keys can potentially set someone up for a dangerous situation. Finders Key Purse® solves that problem as it clips keys to an easy to find place either in or outside of a bag and your keys are instantly within reach. These come in about 80 different designs, cost $6.95. These are cute and not only simplify life, but keep women and girls more safe. If you pair this item with pepper spray you may double the safety potential of this handy device. You can get one on Amazon or here. There are many reasons that make the eAlarm by BASU.com a must-have safety item beyond being very easy to use. Just pull the pin and the sound erupts and it is reusable. First, when they are activated, they are very loud, 120 decibels to be precise. Second they are very cute. This tiny device weighs less than an ounce and easily fits on your keychain and comes in five colors, including an American Flag design. And finally it is TSA compliant. These cost only $16 and can be purchased here. While not everyone needs a Nanny Cam, everyone can benefit from having a motion-activated camera on to keep an eye on your property when you are not home. Tend has many options for security cameras that are easy to set up and an app that connects to your phone and computer. The Lynx Indoor camera even has facial recognition capabilities. These cameras are discreet, yet powerful. The picture is very clear and also has night vision. The app is very easy to use and the recordings are stored on the cloud for free for up to seven days. These cameras are discreet, yet powerful. The picture is very clear. Some of the products from this company have two-way-communication possibilities. You can be anywhere in the world and not only look in on your loved ones at any time, but you can also chat with them. This company also has a Minion Camera, aka Stuart Cam, that records a steady stream of video and you can even play with the microphone so it will speak in “Minion Talk.” It is really cute and affordable. These products don’t only give you peace of mind that your property is being watched, but also it can make you feel like you aren’t missing some of the big moments if you are out and not physically able to be home for a special event. A favorite use of these cameras is to use the pet cam feature, which compiles the day’s events into a short video that really shows off the secret lives of pets. These items range in price from $49-199 and can be purchased at many stores and online here. While there are many camera options out there, Tend products are ahead of the rest as they blend affordability, practicality and functionality into a great set of items. FLARED offers and exciting new line of luxury auto emergency kits for women. These kits come with everything a person needs (other than common sense) when dealing with safety and convenience when there is an emergency or when they need some extra help. Some items included in the kit are jumper cables, LED flare, pepper spray, first aid kit, power bank and more. 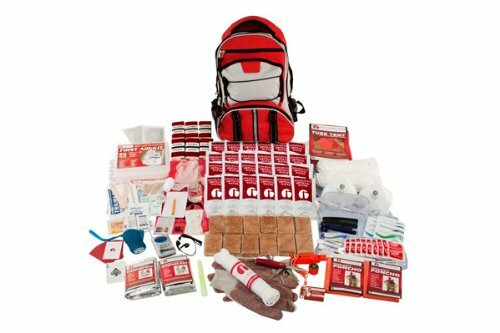 You can personalize these kits to include other items you may need including water bottles, snacks, personal hygiene products and other things you may need. What makes FLARED so special beyond the stylish yet sturdy design is that just having it encourages safety talks, preparedness and responsibility. There are two varieties of kits available, but my recommendation is slightly stronger for the Flared Deluxe Kit as it comes with an external battery charger. They can be found here. This item is a must-have for anyone who drives a car. For years, people have expressed the need for drivers to have a device that can cut a seatbelt and smash a window in case of emergency. There are a few products out there that accomplish these tasks, however the OWL Open Window for Life™ is a flat credit card sized escape tool that can slice through seatbelts and smash through safety glass with ease. This item should be in every car. The OWL is handy, discreet, portable and easy for anyone to use. Watching the video of this tiny device smash a window is indeed impressive, and possibly a bit tempting to try, but just knowing that you have this important safety in your car will give you extra piece of mind that you can escape in case of flooding or accident. These items are made in the USA and you can buy two for $29.95 here. There are many paracord bracelets out in the market, but the team at Jewels For Hope created a line of Paracord Bracelets that are not only an essential safety item for everyone to have, but also give back to a variety of charities. These waterproof, corded bracelets can be unraveled in a pinch for all sorts of emergencies from making a make-shift dog leash, to tying shoes, first aid uses and more. These bracelets come in many styles and colors and sell for $10. They can be purchased here. RunLites are protective safety gloves that allow you and your loved ones to see and be seen while being out in the world at nighttime. These gloves are lightweight and come in three different styles: the SLING, the half-length and the full-length varieties. What makes them special is that they have small rechargeable, super bright LED lights that fit snuggly into the gloves. The lights shine up to 35 feet in front of you and can be seen up to a half mile away. They are also handy to use for any task where you need hands free lights. Most varieties cost $24.95 and can be purchased here. RunLites don’t only keep you safe, but they also look cool. Sometimes you just don’t want to carry a bag, but what do you do with you money, credit cards and phone? The PortaPocket is a wearable, discreet solution to keeping your items safe and on you without carrying a bulky bag. This item is especially helpful for people with medical issues. With PortaPocket, people can wear vital devices on their person including: insulin pumps, inhalers, EpiPens, more. PortaPockets come in a variety of sizes and shapes to accommodate many needs and style desires. They even have pockets with bling for those who want a little sparkle. These range in price from $9.95-$25.95 and can be purchased here. Keeping medications on hand is important for many of us, but some of the pill cases out there are so hideous looking that sometimes we’d rather risk it that take those with us. Style RX from Inspired by Dawn designer pill boxes are a convenient way for women to keep their medications or vitamins hand in a beautiful and convenient case. They sell for $28 and can be purchased here. Safety experts Jarrett Arthur and Jennie Trower developed a key chain that can help you protect yourself. These key chains come in cute doggie and kitty shapes and can be used in conjunction with self-defense techniques to keep you and your loved ones safe. These durable plastic designs come in many colors and the animal shapes allow you to put your fingers in the holes to be prepared in case someone tries to attack you. The self-defense key chains sell for $6.95 a piece. However, this company offers bundles that include safety videos and tips that are truly worthwhile. These life-saving items can be purchased here. What is your favorite emergency item that you recommend to your friends?